There are many workplace situations employees consider harassing. On a weekly basis, we receive many telephone calls about harassment. Not all workplace harassment is something an employee can sue for. Workplace harassment which a harassment lawyer can sue for, or obtain a settlement with an employer, falls into two general categories: harassment on the basis of a protected characteristic and workers compensation. In this order, we have found harassment based upon protected characteristics to be most numerous in our caseload: Sexual Harassment, Pregnancy Harassment, National Origin Harassment and Race Harassment, Disability Harassment, and Age Harassment. Harassment due to a protected characteristic must be either severe or pervasive. One comment is not enough to sue. For more about what constitutes sexual harassment click here. The same standards about what constitutes sexual harassment apply to other forms of harassment based upon protected characteristics. The Fair Employment and Housing Act outlaws harassment on the basis of protected characteristics. Workplace harassment may be something an employee can pursue through workers compensation remedies in addition to civil remedies, or merely a workplace harassment case that must be pursued through the workers compensation system. Traumatic workplace events may qualify for workers compensation benefits including pay when unable to work and permanent disability ratings from the trauma. Workplace harassment claims in the workers compensation system may involve the same facts as protected characteristic harassment. Our firm is always involved in sexual harassment claims which are being pursued both in the civil court system and the workers compensation system. Presently, we represent a Camarillo woman who was sexually harassed and suffers a variety of psychological conditions as a result. Workplace harassment claims may qualify for workers compensation benefits if 51% of the psychological injury was caused by work. Although a single traumatic act such as a robbery, or sexual harassment, might result in psychological injury usually psychological injury for workplace harassment must be brought by an employee who has worked at the company for at least six months. Earlier this year we did succeed in the representation of a North Hills grocery store worker who was battered by a team lead, sprained her wrist, and she suffered psychological injury due to the bizarre co-worker interaction although she was only a five month employee. Work stress claims can be pursued. However, finding an attorney who will pursue a work stress claim is often very difficult. Few workers compensation lawyers will take work stress claims. The Employment Lawyers Group is a major force in employee representation. Firm owner, Karl Gerber, has been representing employees since 1993. If his firm is unable to help you with your workplace harassment case, the network he has formed of colleagues is immense. After handling more than 1,500 employee cases throughout California for so many years he has acquired contacts, friendships, professional relationships, and referral relationship with all sorts of employee rights lawyers. 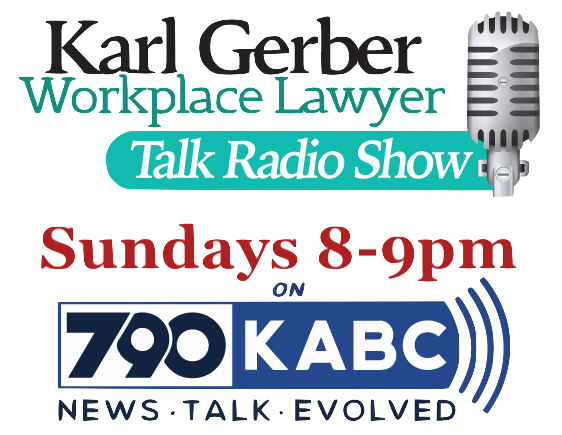 Being in business so long, and being a model firm for employee representation, by 2006 there were some labor lawyers who left Gerber’s firm to start their own. These workplace harassment lawyers are amongst those who accept work stress referrals. Calling the Employment Lawyers Group is the best way to get in contact with a qualified work harassment lawyer.